For more than 12 years, Loveall Price & Associates (LPA) has been a trusted partner with local non-­profit organizations moving through leadership transition. Our team of executives and subject-­matter experts collectively represent more than 150 years of experience in the nonprofit sector. Our experience spans the entire spectrum of executive work. Kim Loveall Price brings over 30 years of experience in fundraising, board development, fiscal management, human resources, and visionary leadership to her role as Principle of LPA. As an independent consultant, Kim has successfully transitioned 20+ organizations. This work has included the retirement and on-boarding of executive leadership to one of her more recent assignments: facilitating a merger that encompassed over 40 million in assets. Kim has worked with organizations of varying size, both in terms of staff and budget, and has been recognized for her excellent leadership, energy, interpersonal skills, capacity to listen thoughtfully, and her true love for the work. 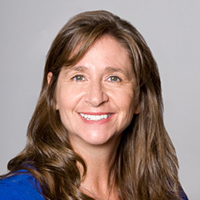 Prior to specializing in Interim Executive work through Loveall Price & Associates LLC, Kim spent 14 years in the YMCA movement in a variety of capacities from Executive Director to Trainer of Trainers for the YMCA of the USA. Her management responsibilities included fiscal and annual and capital fundraising accountability as well as hiring, training, coaching, and leadership of employees and volunteers. Kim’s responsibilities at the YMCA of Greater Seattle included the implementation of two major national initiatives and a local initiative to standardize facility and program benchmarks. Kim graduated with a M.S. degree from the University of Idaho in 1991. After working in four different YMCA associations throughout the country, Kim settled in the Seattle area in 1996. She currently lives in Woodinville with her husband and near her two adult children ages 30 and 24. As a family, they spend as much time as possible relaxing, biking, running and enjoying their home on Lummi Island in Whatcom County, which they’ve owned since 2005. After nearly 30 years of non-profit executive leadership at the YMCA of Greater Seattle, Sue eagerly joined LPA in 2016. Her years as Chief Operating Officer of a $78m organization has prepared her well in all areas of management. While board development, strategic planning and fundraising are among her favorites, she brings a wealth of knowledge in fiscal management, organizational assessments, volunteerism and staff development (especially for executives). Sue has a proven track record of uniting staff and volunteers to blend best practices with cutting-edge thinking, adapting easily to different environments and ways of thinking. She leads other to think creatively about the future, all the while keeping a keen eye on all aspects of diversity and inclusion. Sue is a graduate of the University of Washington and the Harvard Kennedy School Executive Education. Sue and her husband are avid fishermen, with a love of golf and exploring the world. Raised in the Seattle area, she and her family now live in South King County. 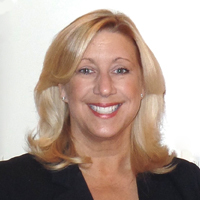 A consultant with LoveallPrice and Associates since 2009, Suzie brings a diverse history of operational leadership. With over twenty years of experience in both the non-profit and for profit sectors, Suzie provides interim leadership and executive search services. Recognized as a seasoned professional, she is able to build the culture, operational structure and support systems necessary to advance a vision. At Loveall Price, Suzie has helped numerous organizations in many capacities including executive search, organizational assessment, advancement, communications, events, website and database integration and general admin. Suzie received her B.A. from the University of Washington in 2002. Prior to consulting, she was a Senior Director for the YMCA of Greater Seattle and General Manager of ZUM Fitness. Suzie currently lives in Seattle with her husband and five year old daughter, and enjoys snow, sun, surf, and the occasional margarita. As a senior executive for a large international organization for over two decades, Carolynn brings years of experience to her role with LPA. Not only has she been responsible for leading several large and diverse teams throughout her career, but she has also developed and implemented many strategic plans. Carolynn is known for her ability to quickly assess an organization, readily gaining the respect and credibility necessary to execute challenging objectives. 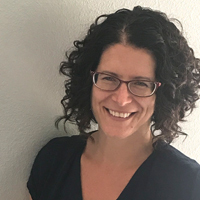 A long time resident of the Pacific Northwest, Carolynn graduated from the University of Oregon, and has held several leadership positions in the local nonprofit sector, most notably Imagine Housing and Saint Andrews Lutheran Church. A leader within the area’s human services community, Linda spent the past 15 years in executive-level positions at many local non-profits. In those positions, she has been responsible for all aspects of organizations, including human resources, fiscal management, board development, advocacy, compliance, external relations, volunteers, fundraising, general operations, and asset management. Organizational operating budgets have ranged from $400,000 to $32,000,000; from four staff to 325. As a consultant specializing in transitional leadership, Linda is known as someone who challenges people to think differently. She identifies and fosters individual strengths, assembles then facilitates the teams needed to seek new ideas, find solutions and achieve organizational goals. Linda holds a B.A. from Southwestern University and a M.B.A. from University of Montana. Since moving to the Puget Sound area in 1999, she has served on various nonprofit and community boards, holding multiple leadership positions. A Redmond resident, she recently was honored with an invitation to serve on the Leadership Eastside Board of Directors. Alongside her husband and teenage son, Linda enjoys activities such as gardening, cooking, fostering kittens, soccer and javelin. Her daughter recently graduated from Washington State University and continues to find ways to spend time with her family in between travel adventures. 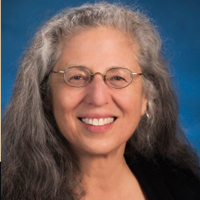 Rae Levine brings 30+ years experience in nonprofit leadership, management, and organization development to her work at Loveall Price & Associates. Specializing in leadership transition since 2012, she has served as Interim Executive Director in four Seattle-area nonprofits, guiding and supporting boards and staffs to meet current challenges, strengthen their organization for the long haul, and make important shifts for a sustainable future. A recent client summed up Rae’s contribution: “Thanks for the time you spent leading WCSC. We have been lucky to benefit from your considerable skills, wisdom, and personal warmth.“ Ed Ringness, Board President, Wallingford Community Senior Center. Prior to specializing in interim leadership, Rae served as founding executive director of the Community Land Trust Association of West Marin (CLAM), an affordable housing organization based near San Francisco. Previously, as an independent consultant, she provided consulting services in strategic planning, facilitation, team effectiveness, collaborative problem solving, conflict resolution, managing change, and board development to a wide variety of nonprofits. Rae holds a Bachelor of Arts from Barnard College, Columbia University, and a Master of Science in Organizational Development from University of San Francisco. She has lived, worked, and volunteered in Latin America and is fluent in Spanish. She and her husband live in Seattle. They enjoy hiking and Balkan folk dancing, and they are helping create the Rubezhevichi Museum of Rural Jewish Life in Belarus, where their grandparents were born. Rae travels to London when possible to visit her son, his wife and their three children.